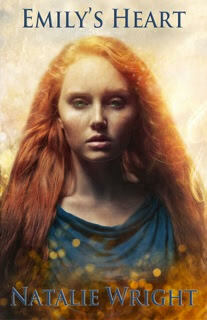 Natalie Wright has authored The Akasha Chronicles which is a young adult fantasy trilogy. When Natalie is not writing you can find her blogging, on social media, or eating chocolate. And when she is doing none of the above she would be busy in nurturing her young daughter, playing with her two young cats, and feeding her dog. Natalie Wright loves walking in the high desert, travel, sharing excellent food with family and friend and snorkeling in warm waters. She grew up an Ohio farm girl. Currently, she lives in the desert Southwest. She dreams of living in a big city high rise. 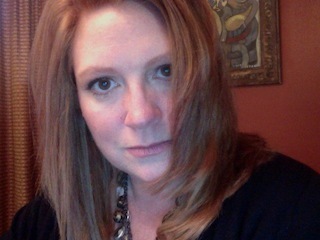 I write under my real name, Natalie Wright. I do not have a pen name. Nature is my greatest source of inspiration. A short walk in the high desert near my home can lift my spirits tremendously. I try to get outside for at least 30 minutes each day and if I don't, I don't feel as energized. I also have two cats and a dog that are a part of my family :-) They provide an indoor bit of nature. The cruelty that some human beings can exert against each other and the creatures they share the planet with. I'm particularly hurt when I read a story about child or animal neglect or cruelty. I wish humans could, in general, be kinder to one another. I began writing as a child. I always enjoyed writing stories and poetry. But I never considered being a writer as a career choice. Artists and writers don't many any money ;-) At least, that's what I was told a lot, so I became a lawyer. Here's the thing. If you do not enjoy what you do in life, you will not be happy. And if you are not happy with your work, you will suffer and probably not earn the kind of money you want. At least, that's what happened to me while I was a lawyer. I didn't hate my job. I got to help a lot of people and I learned a lot. But the work was stressful and robbed me of the energy to pursue my creative side. And if you are a creative person and you do not allow yourself to create, it's like a little death. My husband encouraged me to begin writing again and so I began to dabble in writing in 2007. It lifted my spirits too much! And I kept going, and went to writing workshops, I took classes, and I began to write my first novel in 2008. The purpose of my writing? That is such a good question. I write first and foremost to give my spirit voice. Now that I've written four novels (3 published, one still in revision), I can see a pattern emerging. My third book, Emily's Heart (Book 3 of the Akasha Chronicles) hit stores February 1, 2014. I'm so excited to have finished my first book series! I hope readers enjoy the dystopian love story of Emily's Heart as much as I enjoyed writing it. I'm working now on revisions to my young adult science fiction novel, H.A.L.F. It's a super fun story filled with alien-human hybrids, government conspiracy, and quirky characters. The setting for the book is Arizona (my home state), so it is fun for me to write about a setting I know very well. When I have the manuscript polished, I'll be querying this one to agents and editors (I did not seek a publishing contract with my first series). Hopefully, I'll have it done and out to editors by the end of this year. Wish me luck! I'll also be working on some short stories this year and hope to have a small anthology of those published within the next 12 months. I was born in the state of Ohio in the U.S. I love to travel! Ever since I was a small child, I wanted to see everything. So far I've been to both eastern and western Canada (an absolutely beautiful country filled with lovely people); Cancun, Mexico; Nassau, Bahamas; and Ireland. I've also traveled extensively in the United States. I've been to Hawaii several times, Alaska and I've been to most of the states at least once. Alaska was one of my favorite places that I've visited. It is so vast and so incredibly beautiful. It is still wild and I love that. I also really enjoyed Ireland. 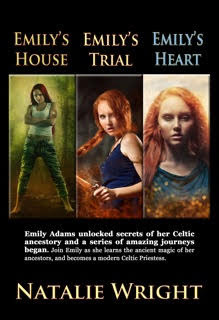 I won a trip to Ireland in 2010 and since most of my first book, Emily's House, is set in Ireland, it was great to get to go there before I finished the book. I had so many things wrong! You really don't know a place until you've been there. The Irish countryside is even prettier and greener than in pictures, and the people are warm and welcoming. I have many favorite books. It depends on my mood and often changes depending on what I'm reading at the time. My all-time favorite single book is The Fault in our Stars by John Green. I laughed, I cried. I was sad when it was over. I think it's just about the best and most perfect book ever written for teens. I love the book because of the intensely beautiful love story between the two main characters. I do not read romance novels and I'm not much into all the "insta-love" and silly games between boys and girls in most books written for teens. The Fault in our Stars is a love story, not a romance. The love portrayed is so beautiful and complete that it makes you cry. My favorite series is The Song of Ice and Fire (Game of Thrones) by George R.R. Martin. I'm not generally a reader of high fantasy (I'm not a Lord of the Rings fan), so I have found it sort of strange that I love Martin's series so much, but I do. I think it's because Martin's stories are character driven and he has created some amazing characters. I think he could write 20 books in this series and I'd read them all! Silence in the morning (I'm not fit company before 10:00 a.m. ;-) But I enjoy robust conversation about issues, philosophy, metaphysics, ethics, science - just about anything! She loved well, was well loved, and up to the very end, she was curious about everything. Thanks, Natalie Wright. I would like to assign a term to you – Navigator of Love.